In their seminal work Getting Real, 37 Signals talk about scratching your own itch when looking for a new project. Well I was itching to brew consistently tasty beer. And brewing consistently tasty beer requires reliable temperature control. Sure there were thermostats for sale on Ebay for 100 bucks that could keep fermentation temperature consistent. But I could see the limitations of these and knew that a software-based solution would provide the flexibility to do so much more. Today I'm very pleased to make available the first beta release of Braubuddy. 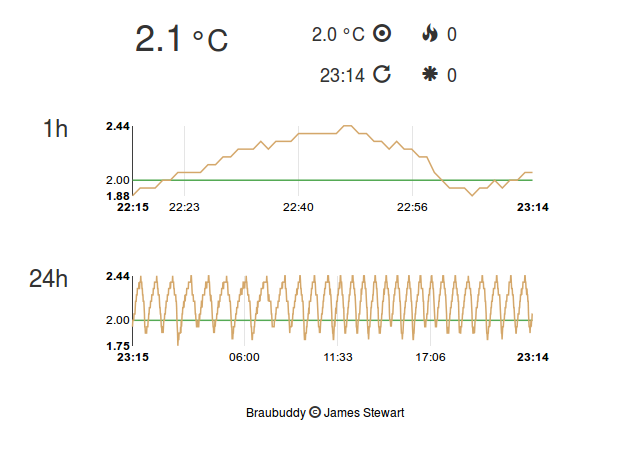 Braubuddy started as a simple Python script to monitor the fermentation temperature of my home brew using a Raspberry Pi and a USB thermometer. In my workshop I have a Raspberry Pi whose primary function is to control the temperature of my home brew using Braubuddy. Update software on the Pi without unplugging and taking it inside. Monitor the temperature of my home brew remotely. Stream music while I make beer and build things. But as it turned out, the WiFi adapter's tiny internal aerial wasn't capable of maintaining a reliable connection to my Wireless Access Point. On the rare occasions that it did manage to connect, data transfer was hideously slow due to packet loss. Inevitably the link would drop out altogether as Linux' WiFi connection manager gave up in utter despair. I had resigned myself to buying a USB module with an external aerial until I stumbled across this article in my Twitter feed. The author describes a similar predicament to my own as well as his solution: a home-made, foil-covered dish mounted behind his Wifi adapter. "This is a waste of time. 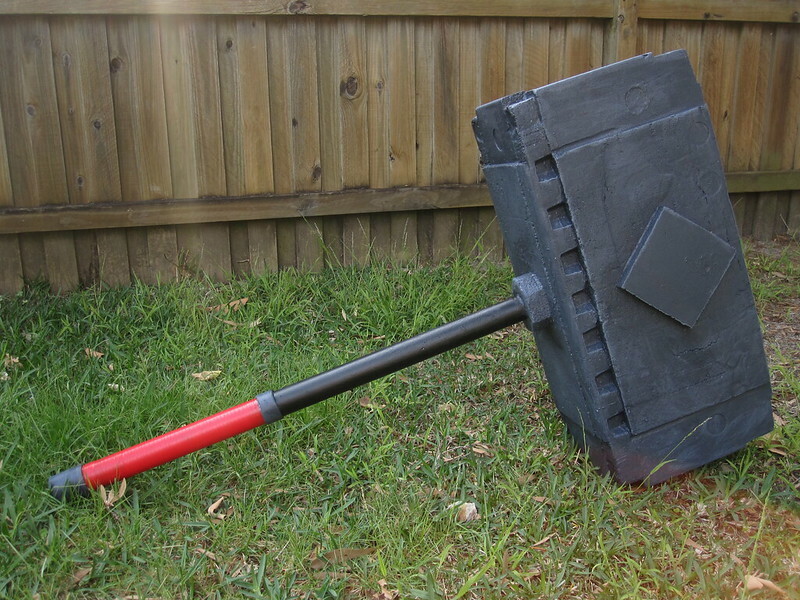 When am I ever going to need this?" I felt the same as everybody else. I had no idea what I wanted to do with my life, but I was reasonably sure it had nothing to do with sin, cos and tan. I previously blogged about the tosr0x, an inexpensive USB relay controller board which I'm using as part of a computerised thermostat. Having creating tosr0x.py to control the tosr0x' relays using Python, I required a device which employs these relays to switch a pair of mains sockets. This device will essentially be a programmable mains powerboard, switching power to a refridgerator and heat belt to regulate the temperature of my home brew. This is a reasonably simple project. It essentially involves wiring together a handful of components and mounting them inside a box. For the sake of neatness I take the mains input from an IEC socket rather than wiring a cable directly. The finished product is a mains powerboard which can be plugged into a USB port and controlled by anything that can speak to the tosr0x.